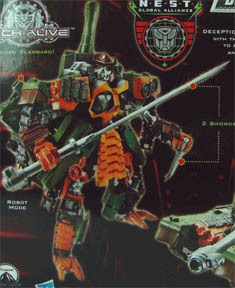 In-package images of the upcoming Bludgeon figure from the ROTF line have been posted for viewing at the following links. back of box with bio and specs clearly readable. Since acquiring the rights to publish Transformers comics in 2005, IDW Publishing has launched a number of miniseries establishing a vast and complex universe for the massive robotic characters, but there hasn’t been a central ongoing series to chronicle the epic battle between noble Autobots and evil Decepticons. That changes in November with the first issue of “Transformers,” a new ongoing series written by Mike Costa and illustrated by Don Figueroa. CBR News caught up with Costa to discuss the new series. See this link for the whole interview. USA Today has posted an interview with IDW Publishing author and editor Andy Schmidt about Transformers, comics and his role with the upcoming “Transformers: Continuum” story. 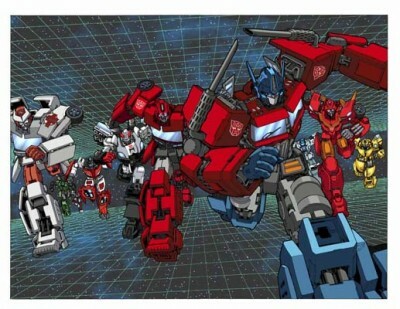 In addition to the interview, USA Today also shows some sketches by Don Figueroa of Optimus Prime, Ironhide, Bumblebee and Jetfire as they will appear in the new Transformers ongoing series. Revenge of the Fallen has hit the $400 million mark domestically. In addition, the movie is estimated to have made $428 million overseas at this point, for a total take over over $800 millon. Despite the facts that critics almost all disliked it, and despite multiple fan complaints, the movie was certainly a success with the general moviegoing public.